We know how bedtime can be one of the most difficult times when dealing with a child with an itchy skin condition, so our aim is to try and make it more relaxing and enjoyable. Read your child a story about the Itchy little monkeys on one of their adventures, help them put on their Shruggi™ and tuck them up for the night, safe in the knowledge that their skin is protected from the damage of scratching which means a better night’s sleep for them and you! 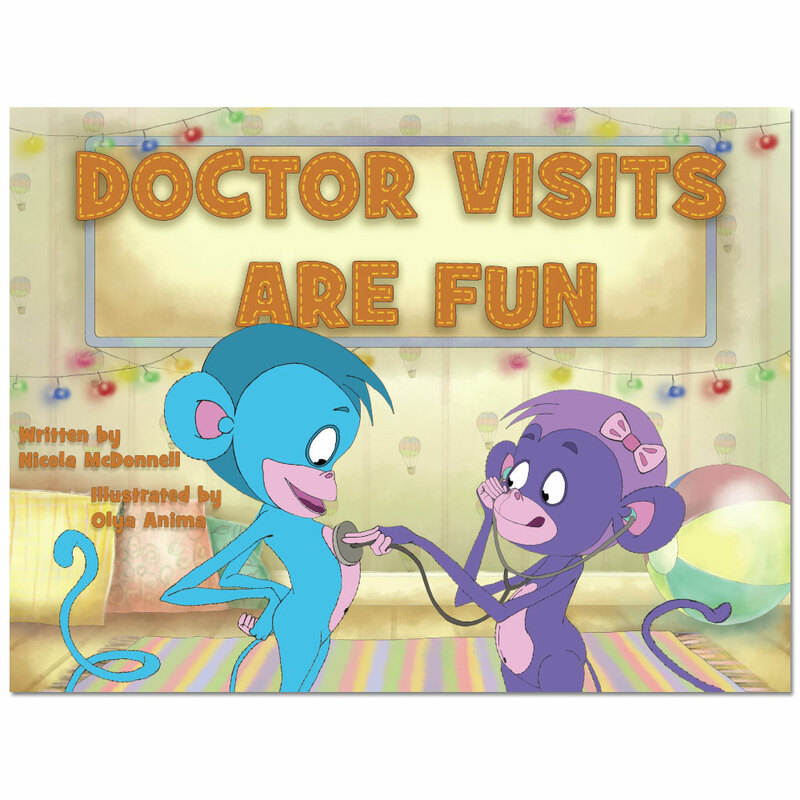 In the characters of Max and Mimi, your child has someone to relate to that is going through the same experiences they are. This gives them a sense of security and normality. This story finds Max and Mimi on a visit to the doctor to see what new ideas she has to help them with their itchy skin. In typical Max & Mimi fashion they soon get up to mischief at the expense of mummy and daddy…! Give the child in your life a unique gift that their skin will thank you for! Read them a story about the Itchy little monkeys on one of their adventures, pop on their Shruggi™ and tuck them up for the night, safe in the knowledge that their skin is protected from the damage of scratching. 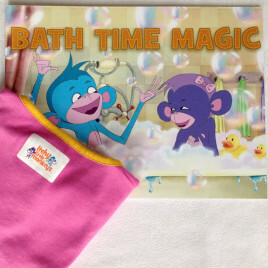 Take the stress out of bedtime with the Shruggi™ & Storybook combo and save! Just choose the size, colour and storybook of your choice from the drop down menu. 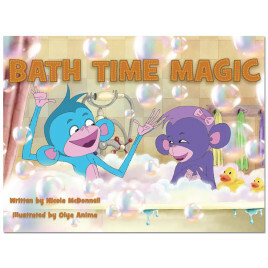 This story finds Max and Mimi enjoying their daily bath and bedtime routine which is great fun. However, mummy has her hands full with two mischievous little monkeys and is happy to get them to sleep where they dream of floating away on giant bubbles…!